Resident Evil 6 isn't a bad game, but it also isn't worth writing home about. Its story content is underwhelming, as is its gameplay, and it's unfortunately missing an identity. Having begun its zombified life sixteen years ago, the Resident Evil franchise is a digital mainstay and a survival horror icon that many gamers have devoted countless hours to. Since those early days, we’ve been treated to shambling corpses, resurrected dogs, hideous monsters and infected humans, all of which have appeared in an attempt to raise heart rates. 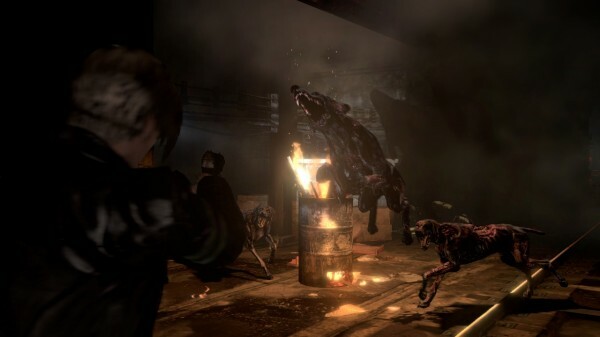 For that reason, it’s not surprising that the series and its firsts – such as the first time that the dog jumped through the window in the original game – have stuck with fans. Fast forward to the present day, where we’re receiving Resident Evil 6. Released months after a well-received handheld outing and a disappointing spin-off, the much-anticipated numerical sequel has high hopes riding on it. Fans have been clamouring for the series’ next great release, and have been hoping that this year’s canon iteration will live up to the greatness of its beloved predecessor, Resident Evil 4. Unfortunately, the desired result has not been achieved, as Capcom’s latest infected outing is more ho-hum than spectacular. 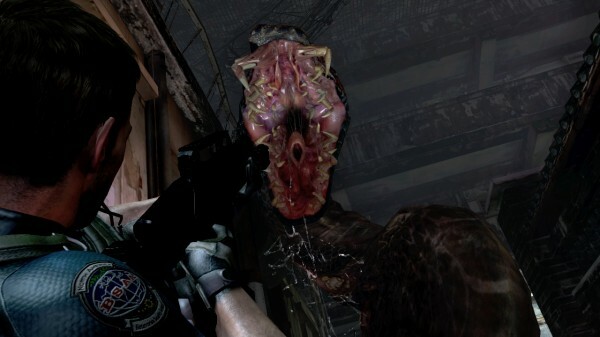 In comparison, Resident Evil 6 is much more action-packed than your everyday survival horror title, but it still retains quite a few of the distinguishable elements that its antecedent helped make famous back in 1996. There’s the necessary virus, scary baddies, dark shadows, somewhat stilted movement and the odd moment where ammunition is hard to come by. However, despite those familiarities, this sequel’s gameplay focuses less on frightened walks down long corridors and more on running throughout open-feeling environments. Closed-in environments are not a rarity, but they’re outnumbered by locations that offer a decent amount of exploration. As expected, almost all of the environments are home to hideous-looking creatures that have been created through scientific means. 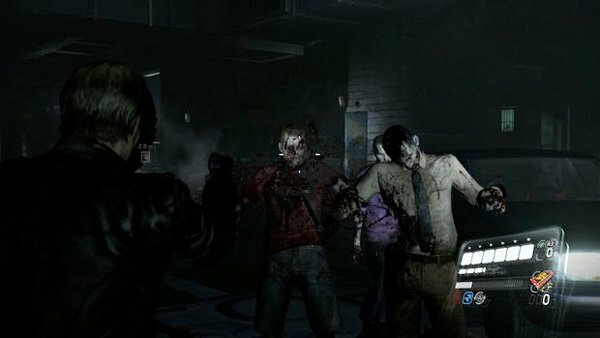 Many different types are encountered throughout the game, but you’ll mainly be fighting off flesh-eating zombies and infected humans of the J’avo variety. In conjunction with their peers, the two camps offer a welcomed amount of variety, meaning that you shouldn’t get bored of fighting the same baddies over and over again during what is a rather lengthy experience. It’s nice, because different tactics are required for most enemy types. However, the downside is that the hit detection is occasionally wonky, meaning frustration will occur due to missed shots and wasted ammunition. Thankfully, though, bullets aren’t tough to come by. Replenishing boxes can found in crates and beside defeated foes’ corpses. Whenever one would rather save bullets than send them flying into monstrous flesh, different types of melee attacks can be utilized. A stamina bar reflects the amount of energy that the utilized character possesses, and each move depletes it. Loads of energy will result in heavy-hitting punches, kicks and weapon slams, while a protagonist with a depleted bar can only muster a light foot swipe. The system works quite well, and standard foes can be taken out through the use of three or four standard attacks, with the key being to get them on the ground, which allows you to stomp on their all-important brain matter. You may have noticed that I referenced the existence of more than one playable character. In actuality, there are quite a few, as the game includes three core campaigns starring unique duos. There’s Leon Kennedy and his new partner Helena, Chris Redfield and his military ally, plus a newly-introduced mercenary named Jake Muller and his familiar partner, Sherry Birkin. What’s nice is that they’re all playable, meaning that players can select their favourites for both solo and co-operative play. Additionally, the characters are all unique, with examples including Chris’ status as a strong military man and Sherry’s inclusion as a stun-gun using heroine. The campaigns intersect, providing different sides of certain segments. Other than that, they’re different from each other, presenting unique situations of the same conflict. Unbeknownst to the six heroes at the beginning is the fact that they’re all caught up in the same struggle against a brand new biological terrorism sect known as Neo Umbrella. Its ruthless members have unleashed what is referred to as the C-Virus, and it’s responsible for the deformed monstrosities roaming the game’s different regions, including Eastern Europe, China and the United States of America. Generally speaking, the chronicled storyline is somewhat interesting, but is also rather absurd. Large foes seem to die then reappear, creating incredibly long boss battles against weird types of beasts. In fact, the final boss in Leon’s campaign is one of the most long-winded boss battles that I can remember. It’s not a terrible encounter by any means, though it also isn’t great, and I became tired of fighting the same baddie over and over again near the end of the story. The same issue presents itself elsewhere, as Resident Evil 6 is a long-winded release that could’ve used some editing. Its fifteen chapters – five per each campaign – are lengthy, and can take upwards of one to two hours each. That’d be fine if their included action was great, but it’s only slightly above average. It’s disappointing, but this release happens to feature an assortment of mechanics that could’ve been used in better ways. For starters, it’s sometimes hard to pull off a perfect shot, even if you’ve spent time aiming right at a foe’s head. Next, there’s the noted problem with hit detection, which ties in to the aforementioned issue. Those two combine for wasted ammunition and frustration, while the game’s over-use of quicktime events also hurts its appeal. They’re included in everything, from interactive cutscenes to boss battles and encounters with basic enemy types, and it gets to be too much after a while. That’s especially true of times where the required input speed becomes unnecessarily high, forcing annoying retries. 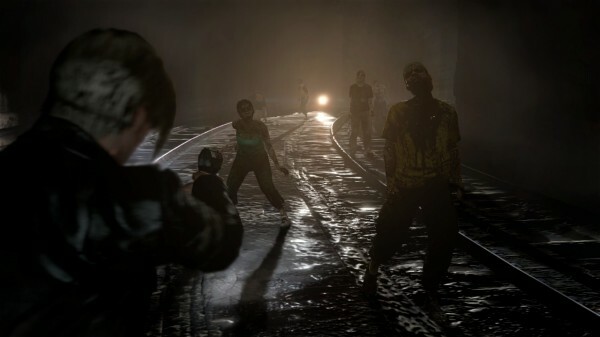 What also hinders Resident Evil 6 is its lack of originality. The experience isn’t as cohesive as it could’ve been, and features too many different ideas. While it’s certainly nice that the developers tried to think outside of the box, what’s presented feels more like a standard third-person shooter than something from the iconic horror franchise. Unfortunately, most of the aspects that made Resident Evil 4 such a memorable hit, and the reason why I purchased a Gamecube, aren’t really here. Of course, the same can be said about the creepy nightmare that is Resident Evil 2, the second best entry in the franchise. Everything that is included on this disc reflects a design process that utilized ideas from both experiences and ended up creating a weird mixture of the two that doesn’t work nearly as well as its two sources. It must be said that those who are looking for the next must-buy survival horror title will need to adjust their expectations. Going in with high expectations will lead to disappointment based on how unremarkable this game is, and I say that based on experience. My hope was that this title would be a memorable masterpiece. However, I’ve become indifferent on the subject. There are things that I like about it, and almost as many things that annoy me. Frankly speaking, everything about the story-based campaigns should’ve been better, and could have been if the game was more cohesive. Moving on from the canon-based content, it’s important to note that there are two additional modes on this disc. The first is Mercenaries, which will be familiar to those who’ve followed this franchise over the last while. It tasks one to two players with taking out as many enemies as they can within a certain time limit, and a few different maps are included. Then there’s its peer, Agent Hunt, which one can thankfully turn off before starting a chapter. 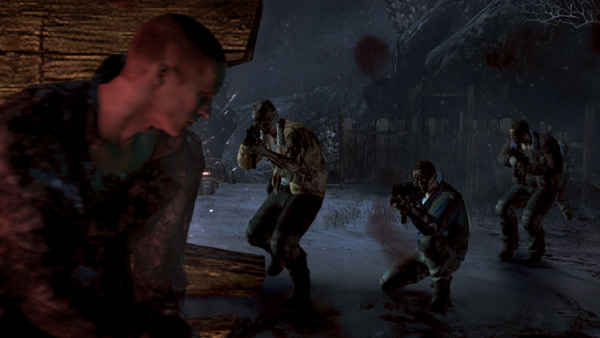 You’ll most-likely want to because, taking hints from Left 4 Dead, the mode allows players to take on the role of monsters within others’ campaign attempts. It’s OK, but nothing special, and isn’t something I ever allowed during the time I spent battling against Neo Umbrella’s creations. On top of the above-mentioned challenge mode and its multiplayer associate, collectible serpent statues and action figures will entice some players to return to completed sections, while upgradeable skills and multiplayer dog tag titles do the same. The completionists among us will spend hours replaying the campaigns in order to find everything and fully level-up the game’s plethora of skills, which must be purchased using earned skill points. However, only certain types of users will do so, while most may only return to replay favourite moments, or spend more time with the Mercenaries mode. When it comes to presentation, Resident Evil 6 fares quite well. The game’s soundtrack and audible effects are loud and booming, and they’re complemented with (surprisingly) decent voice acting, though some lines seem to have been recorded at a lower volume than others. Going further, its visuals are effective, offering a good amount of detail during lighter scenes, though darker scenes aren’t as nice-looking. It’s the main characters who really look the best out of the bunch, which isn’t surprising, but it must be said that they look quite a bit better than a few of the larger monsters. Resident Evil 6 isn’t a bad game, but it also isn’t worth writing home about. Its story content is underwhelming, as is its gameplay, and it’s unfortunately missing an identity. On one hand, it wants to rekindle the fear of yesteryear, but its gameplay doesn’t complement that, and makes it feel more like a routine shooter than anything else. Longwinded sections and overly-long boss battles don’t help, and the same can be said about the sequel’s odd, arena-style environments, as well as its gunplay issues. It’s disappointing, but an altered direction has resulted in a lack of cohesion and a disappointingly average result for Capcom’s much-anticipated fall release. This article is based on a copy of the game that we received for review purposes.